We all like things that are versatile, right? It makes our lives much easier when something can have more than one use as it can save on space, time and money. If combining practicality and style is what you're after when looking for furniture to have in your home, then the Emilia White Oak Sideboard might be the perfect solution. The Emilia sideboard is a sleek and designer looking piece that has ample storage space while also allowing you to showcase your favourite items in the grey oak display cubbies in the front. This Emilia White Oak Sideboard really is a stylish storage solution and would look right at home in a variety of interiors. The Emilia Sideboard is finished in a tactile white oak veneer. 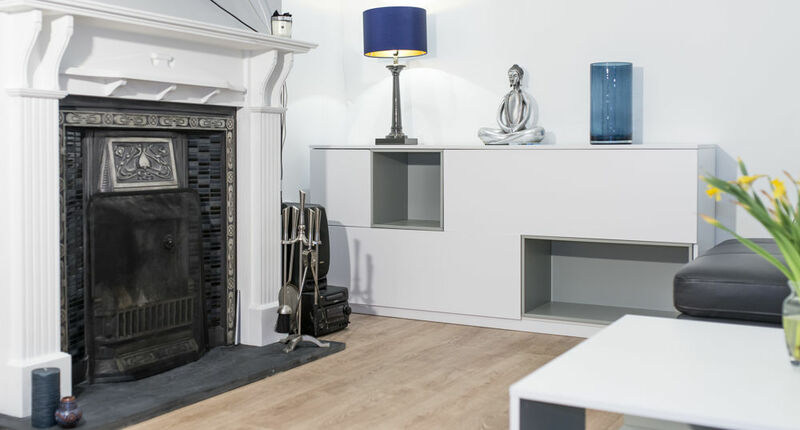 This is a great alternative to having a white gloss finish as the white wood grain is a softer and more subtle way to add a modern and fresh look to your living space. A main feature of this modern sideboard are the 2 display areas in the front, which are finished in a contrasting grey oak veneer. This is a great styling opportunity as you can place your favourite photos and ornaments on display, while using the large storage compartments to keep everything else out of view. 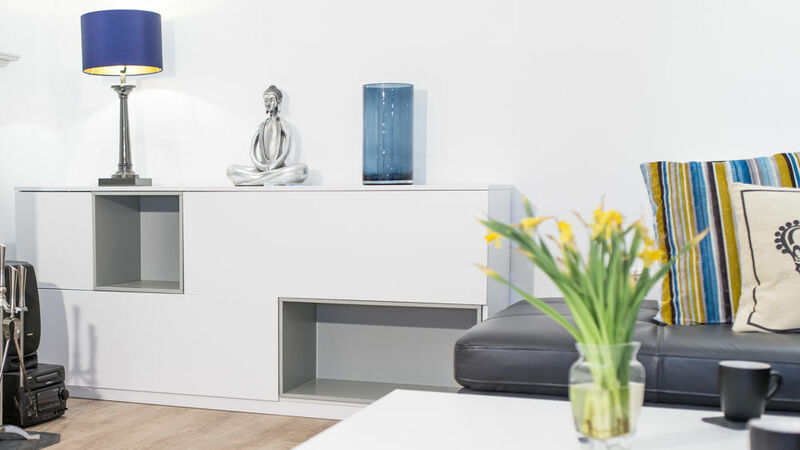 This contemporary sideboard has plenty of storage space, with two large cupboards and one smaller cupboard with drop down doors. 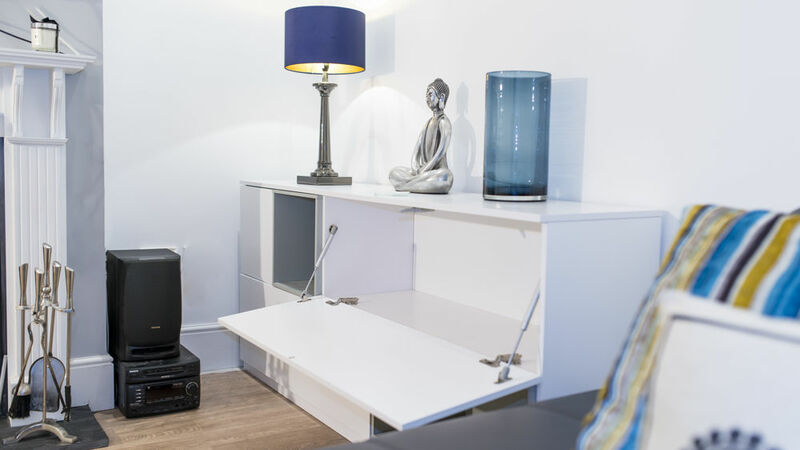 The different sized compartments allow you to store a whole variety of items, making this unit versatile and very well suited to busy family homes. A soft push mechanism has been used to open the doors, removing the need for door handles on the front. This contemporary feature keeps the design of the Emilia looking sleek, streamlined and uninterrupted. 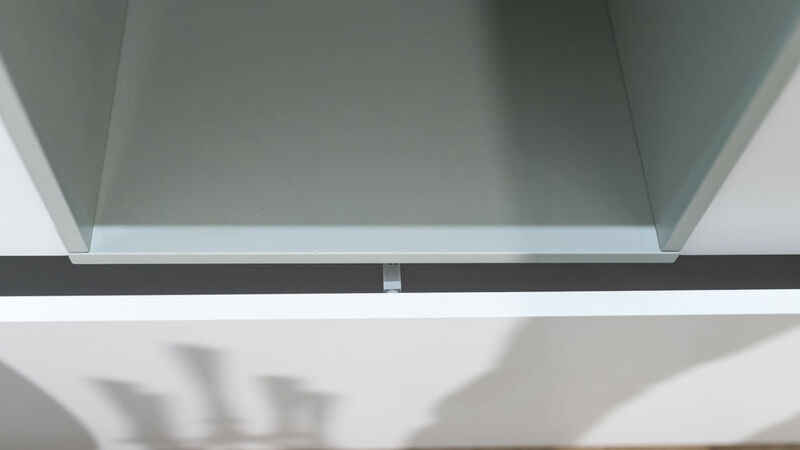 Piston rods are used on the cupboards doors to allows them to gently open under control. This design ingenuity adds to the overall quality and designer feel to this unit, while also making it much safer around you and your family. Magnets are also used to ensure the soft push cupboards close correctly, keeping the unit looking neat and tidy. Like the white oak finish but after a different design? 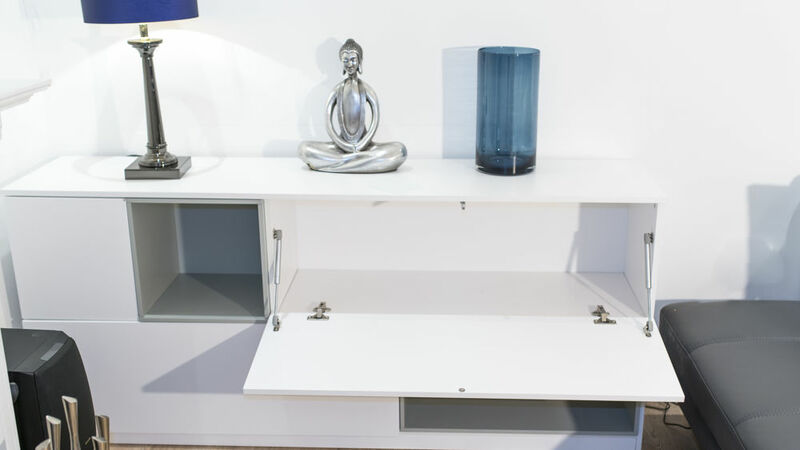 We suggest looking at our Aria Glass and White Oak Sideboard, which has 4 draws and a stylish display shelf in the front. The Emilia Sideboard is part of our Emilia Collection, so why not shop the range to find some coordinating pieces for this stunning sideboard.